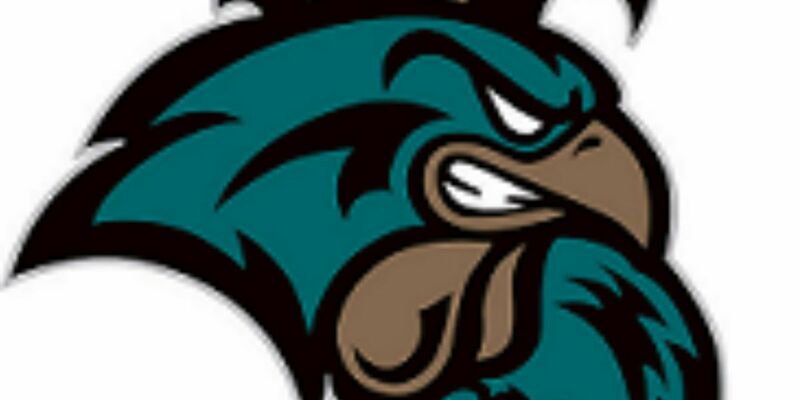 CHARLOTTE, N.C. (www.BigSouthSports.com) – Coastal Carolina University's men's basketball program has been chosen as the favorite in the Big South Conference's annual preseason poll for the 2014-15 season by the League's head coaches and media panel. The announcement was made today at the Marriott Fairfield Inn & Suites Charlotte Uptown hotel in Charlotte, N.C., as part of the 2014-15 Basketball Tip-Off Media Breakfast. Defending Big South champion Coastal Carolina is the preseason favorite for the first time since 2010-11. The Chanticleers, who return four starters among their 10 letterwinners, received 14 first-place votes and 297 points from the voting panel of head coaches and media representatives. Defending regular-season champion High Point -- the only Big South member to appear in the postseason in each of the past two seasons -- was second in the voting with 293 points and 12 first-place votes. Radford was third in the poll with 233 points and one first-place plaudit. Winthrop, last year's Big South Tournament runner-up, was fourth in the poll with 221 points. Charleston Southern was picked fifth with 199 points (one first-place vote), just ahead of UNC Asheville, which garnered the remaining first-place vote and 191 points for sixth. Gardner-Webb was seventh after collecting 168 points, followed by Campbell (113 points – 8th) and Liberty (85 points – 9th). Presbyterian College (67 points – 10th) andLongwood (47 points – 11th) round out the men's poll. Five men's teams received at least one first-place vote in the preseason poll, the most since five garnered top votes in the 2010-11 preseason ranking. Big South basketball tips off Friday, Nov. 14 with nine men's games. The men tip-off League play Wednesday, Dec. 31, and the season culminates with the 2015 VisitMyrtleBeach.com Big South Basketball Championships the week of March 3-8 at The HTC Center on the campus of Coastal Carolina University. The combined, one-site format features all 22 men's and women's teams and 20 games in six days, including the crowning of champions on Sunday, March 8.